The size of middle class has grown bigger, so is the market in terms of product offering and the number of brands. If it was them in the beginning, but today the children of these people are also powerful consumers due to the exposure their parents have known and the natural nagging power children are bestowed with. Not long ago, when the economy was in the grip of license raj and unemployment figure was spectacularly high, aspirations of most people were simply narrow. Options were limited and most people’s financial means was little. The liberalization of economy had induced domestic as well as global entrepreneurs to set up their operations in the country, resulting massive employment in the country. It also led to the creation of a much larger middle class population apparently equipped with higher purchasing power. The markets, meaning brands and others alike, accordingly responded by fulfilling their ever growing list of demand. A few decades later, the size of middle class has grown bigger, so has the market in terms of product offering and the number of brands. If it was them in the beginning, but today the children of these people are also powerful consumers due to the exposure their parents have known and the natural nagging power children are bestowed with. Understanding this potential or opportunity, brands and retailers alike have enhanced their product offering and changed the way products are being retailed. 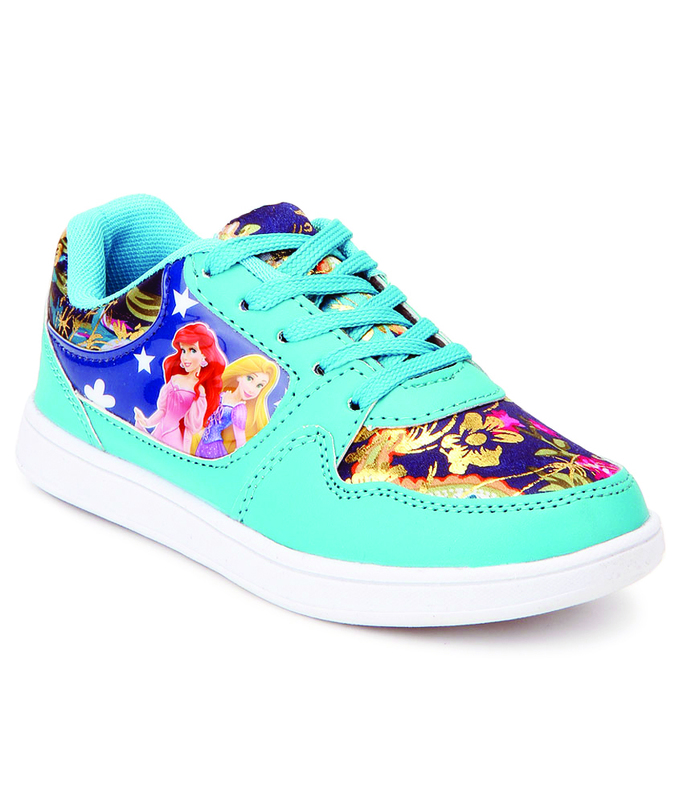 If children’s footwear in the 90s was just some pair of shoes smaller in size, but today they come in multi-colours, the designs are elaborate, the materials are of all kinds, and they are even printed with cartoon characters to make them more attractive or bring children closer to their favourite cartoon friends. It is rather rare that we talk or highlight about this segment. Adult’s simply overshadows it, and thus the segment, which makes up more than a quarter of the entire industry remains, less-examined. In a recent report by Ken Research, titled “India Kids’ Apparel and Footwear Market Outlook to 2020 – Favourable Demographic Profile and Rising Household Disposable Income to Drive Future”, kids’ apparel and footwear market in India will continue to grow at a remarkable pace in the coming years with favourable demographic profile, higher kids’ population and rising household disposable income. The report verifies the points and the developments we have mentioned above. 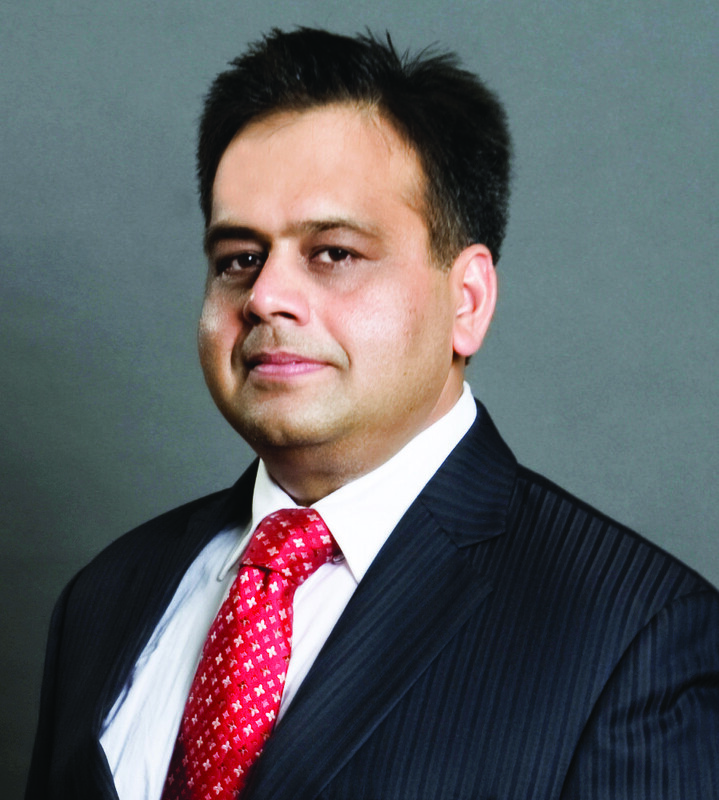 Importantly, we have also brought in industry stalwarts to give you an elaborate insight. With the rising discretionary incomes, middle class population has directed their preferences towards branded footwear and organized footwear segment. 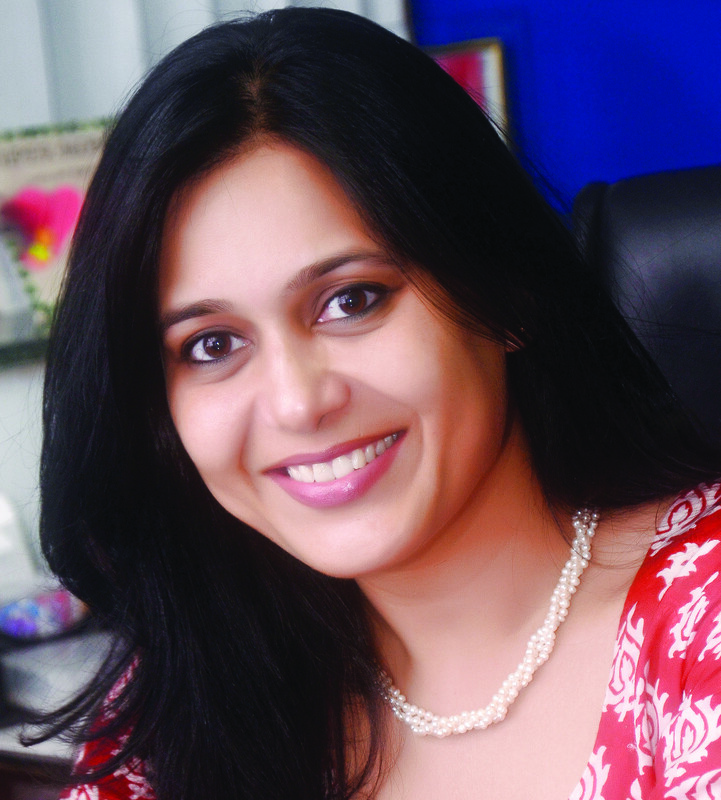 The rising middle class population comes with a distinguished mind set when it comes to children, because they do not want to compromise on quality when it comes to footwear for kids, shares Anupam Bansal, Director at Liberty Shoes, with S&A. Majority of the Indian population comprises of youth and the coming years would be prominently dominated by this segment. Moreover, with the rising discretionary incomes, middle class population has directed their preferences towards branded footwear and organized footwear segment. The rising middle class population comes with a distinguished mind set when it comes to children, because they do not want to compromise on quality when it comes to footwear for kids. They scout for extremely comfortable footwear collection at affordable prices with additional protection features to ensure the utmost safety of their child. Therefore, we can remark that there is a direct correlation between rising incomes of middle class populace and the kids’ organized and branded footwear segment. 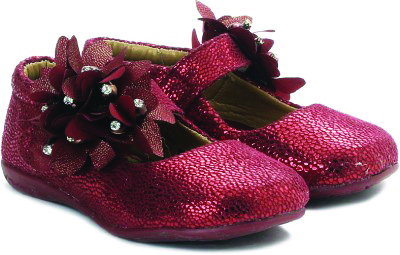 Due to the influx of westernization and foreign brands in the country, the consumer expectations has risen from subtle designs to trendy and cotemporary designs when it comes to children footwear. The very price sensitive consumer doesn’t hesitate anymore to shed out a few more bucks when it comes to stylish, comfortable and branded footwear. Liberty Shoes offers an exciting, invigorating and extremely comfortable footwear collection. We have diversified our collection for kids introducing Loafers/casual footwear, Marvel avengers and sneakers with intriguing designs. We experience higher demands in the Tier 2 and Tier 3 cities because these regions are developing and the discretionary incomes of customers are rising. The population residing in these cities is becoming more fashion- conscious and their predilection towards branded footwear is tremendously increasing. Their mind set is changing towards footwear which is the major cause behind shift of consumer purchase pattern from unorganized market to organized market. These regions make up for a prominent share in Liberty’s sales. Additionally, majority of the demands for online products come from the regions of Uttar Pradesh, New Delhi and Bangalore due to the developing infrastructure and facilitation of logistic services. The marketing and retail strategies employed by the brand are universal and consistent pan India. Discerning retail strategies, we keep launching exciting and beguiling products for children. 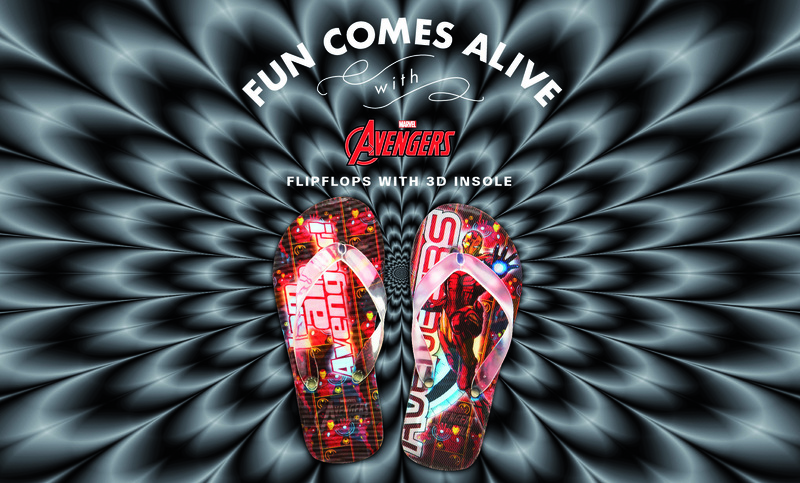 This summer spring season, we launched LED laces, bumpers and magnetic shoe closures to entice the kids and the Marvel Avengers collection inspired by the avengers super heroes to fascinate the kids. 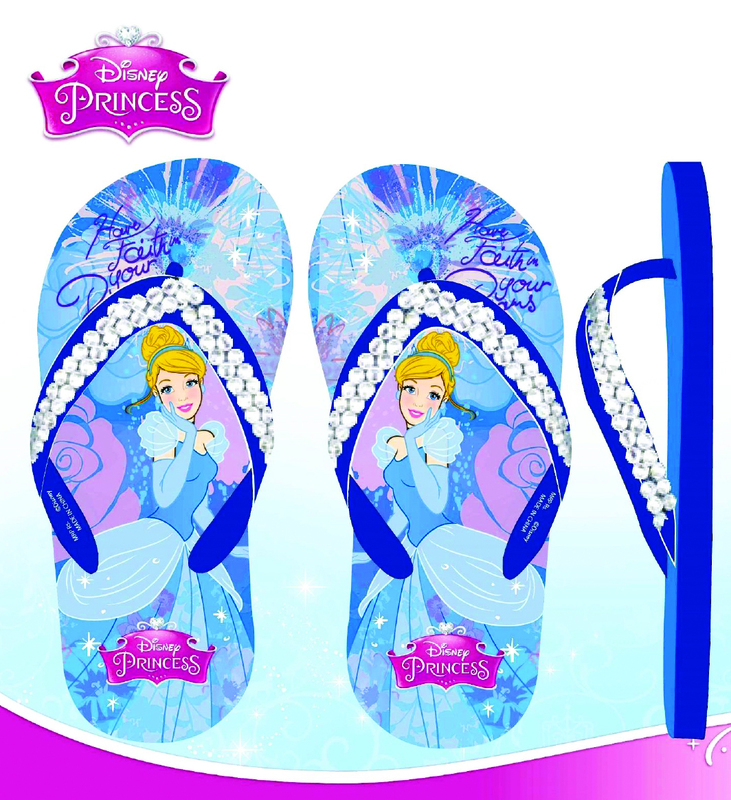 Switching to character merchandise, incorporation of the latest technologies, we also diversified our collection. Moreover, we launched an invigorating collection of 3-D slippers which have the 3-D insoles imbibed with the graphics of Iron man and Hulk. On the marketing front, we pay paradigm emphasis on promotion of school shoes. We promote our school shoes collection and generic collection for children via digital and offline marketing strategies and the strategies employed are similar to the ones employed for adults. 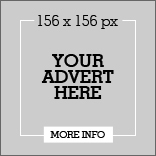 We advertise via print media, advertisements in newspapers and magazines, Visual merchandise and in store promotion for promotion specific collections, geo targeting towards the targeted segments of consumers, digital marketing and social media marketing. This season we have paid emphasis on providing a distinguished and unsurpassable shipping experience to children by keeping them engaged in certain drawing contest, fu activities, chocolate day and candy day to maintain that excitement amidst children. The Indian footwear industry was estimated to be worth ` 385 billion in 2015, of which, Kids’ footwear comprised 15% of the overall market. The current share of unorganized footwear segment is approximately 75% of the total footwear segment which is slowly changing with the advent of the brands and international players. Prominently, the children footwear market can be segregated into the unorganized footwear segment which is highly dominated due to the price sensitive consumer, organized market comprising of domestic players and organized players comprising of international players. The market share of foreign brands is comparatively quite lower due to the newly evolved fashion consciousness and inclination towards westernization. But the share of organized sector is increasing due to increasing disposable incomes and tremendously increasing fashion consciousness. Liberty has a bona fide positioning and underpinning in the consumer mind when it comes to children footwear segment on the grounds of comfort factor, affordability and beguiling designs. Even the advent of international footwear brands and increasing number of domestic players, Liberty’s market share has not declined due to the unsurpassable service and finest quality of products. The procurement of children’s footwear segment is slightly more challenging as compared to the procurement of adult footwear. Children footwear collection comprises of additional protective features, double Velcro straps, bucks for fastening and enticing colors which need extra amount of contemplating and brain storming. Children feet are much more tender and sensitive as compared to the adult feet and incorrect and discomfort able footwear can cause severe foot afflictions to their tender feet causing repercussion on their overall health. Therefore, more precaution, fabrication expertise, latest technologies are required in procuring children’s footwear. When it comes to designing, an expert team sits down and elucidates the market trends, hues favored by kids and designs which would fascinate them. Therefore, this could be a challenging task. 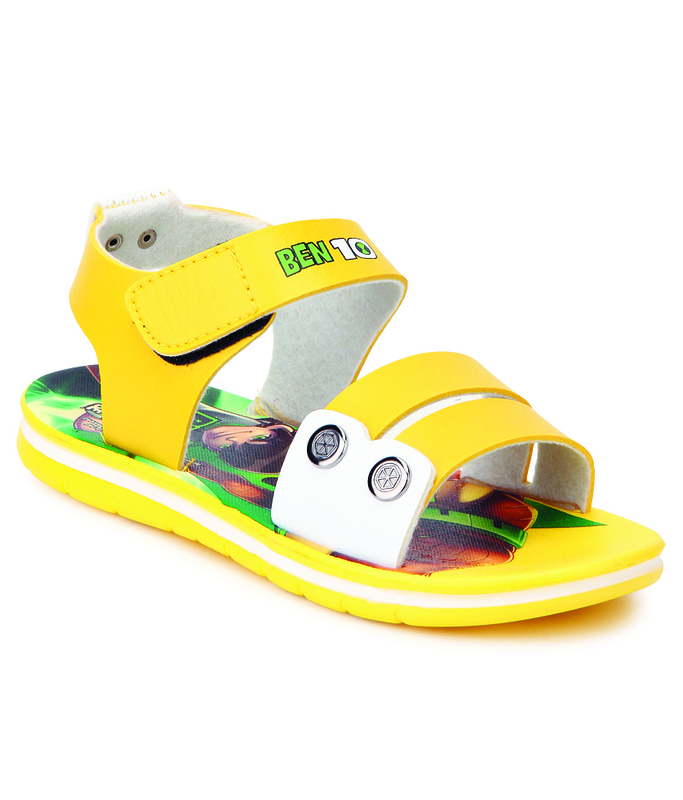 Talking about Footfun, the highest demand is discerned from casual sandals and non lacing shoes for children. This high demand for these two categories is due to the coverage and extra protective features. 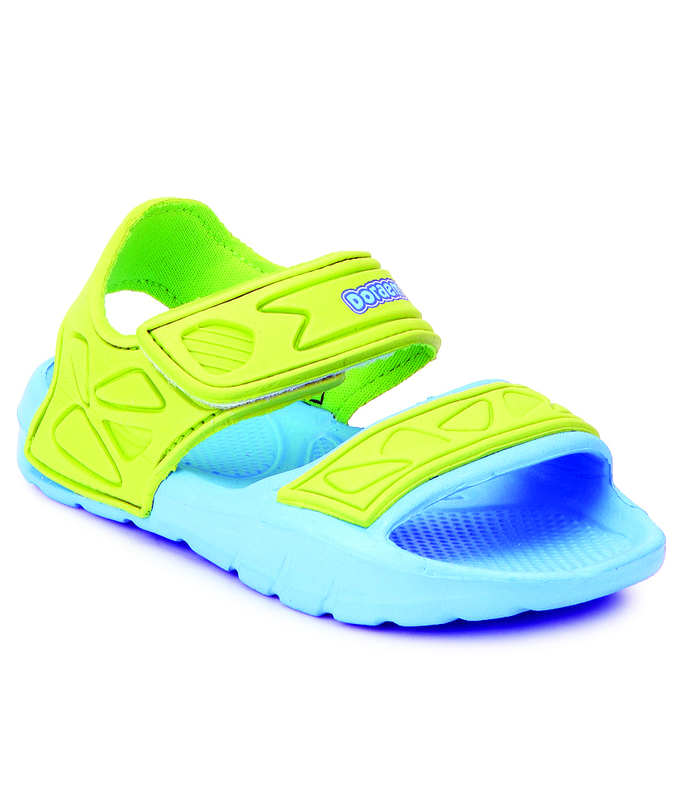 Casual sandals for children come with Velcro straps for easy fastening, convenience of wearing, slip resistant outsole and extra comfort which keeps the child comfortable and protected simultaneously. Pertaining to the demand of casual shoes, non-lacing shoes seek higher demand due to the Velcro straps which prevents and saves time of fastening shoe laces and is extremely convenient to wear. Tying laces cold seem quite cumbersome and exhausting to children causing them discomfort, therefore, these two categories seek the higher demand. 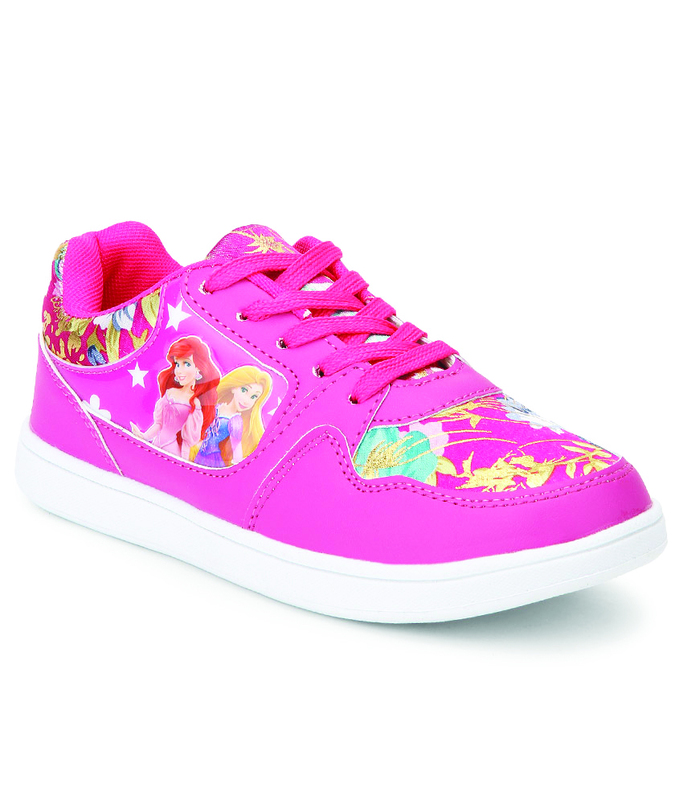 Pertaining to school shoes, the shows with Pu sole and leather lining seek the highest demand. These school shoes have P sole which makes the shoe extremely light weighted, slip resistant, shock attenuator and comfortable. The double leather lining absorbs sweat and prevents sweat aggravation. The organized footwear market for children is increasing at an annual growth rate of 25%. We are targeting towards accomplishing a growth rate of 10% annually in the children footwear segment. Designing and manufacturing children’s footwear is far more challenging if compared to adults, because it can’t just focus on the material, current fashion, colors and trends. So keeping all the components in product kitty is a major challenge, remarks Bhavna Jha, Director -Wiesner worldwide Kreations India Pvt Ltd, in an interaction with S&A. Metro cities are always high in demands but there have been incremental growth in tier 2 and 3 cities as well, because of various factors of brand awareness, quality consciousness and also affordability. Unlike adults’ category, we don’t play much with display mechanisms. Our retail and advertising strategy focus more on activity or promotion-based plans to engage kids and to drag attention of our young customers, because ultimately if they feel excited they will pull their parents along. So the whole planning targets areas and advertising opportunities where we can hit young brains. With fast moving trends and price demands market, share has started bending more towards the domestic players because they understand the demand cycle and have been able to flood markets with right price brackets with exceptionally well quality products to offer. For our business, where we compete with both international and domestic players things have been better, as we get the share from both the pies. Designing and manufacturing children’s footwear is far more challenging if compared to adults, because it can’t just focus on the material, current fashion, colors and trends but also have to be exciting enough to be picked from shelf; must be sounding crazy— but it’s true unless they don’t feel ‘wow’ about it, kids won’t like it. And parents also need to be satisfied with quality and comfort. So keeping all the components in product kitty is a major challenge. Sneakers, dressy footwear, and flip-flops are always high in demand. The kids’ footwear market is growing exceptionally well, with too many players, competition has reached to another level, where customer is the ultimate winner. Developments have already taken place with Make in India plan, where sourcing is getting streamlined and more resources are now becoming available but it will still going little slow in kids category as compare to adults because not many factories deal in this size brackets and dependency on China is still high. Markets today are very uncertain because of huge competition; therefore we have set a target to provide the consistency in category growth. The launch of KICS footwear (which is our own brand) complete range is one of the strategic moves planned for this years’ category growth. Disney pioneered the licensing model in the country in 2005, and it is the top character licensor in the world and in India. 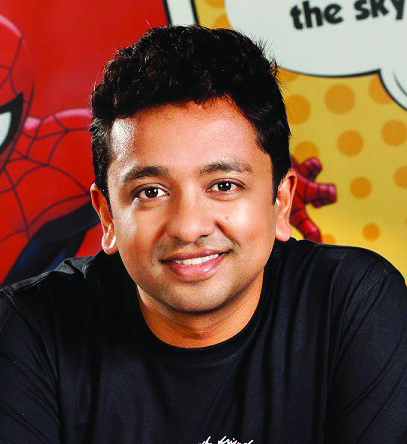 Building an emotional connection with fans through stories and characters plays an important in making consumers a part of the Disney family, Abhishek Maheshwari, VP and Head, Consumer Products, Disney India, informs S&A. Today, Indian middle class families have high aspirations and are increasingly brand conscious. Consumers are willing to pay a little premium for a high-quality branded product. This provides us an opportunity to cater to this segment of consumers. Our footwear category has been growing YOY at 30%. We work with partners such as Bata, VKC, Crocs and more, who have a robust distribution across modern trade, general trade and e-commerce platform. Our footwear product uptake is higher in major metros including Mumbai, Delhi, Bangalore, Chennai, Hyderabad amongst others. This is mostly due to the well-developed retail landscape in these cities. We also see a growing demand in tier II and tier III towns and are now able to cater to it though greater offline and online distribution. The online channel has really helped us make our products available to larger set of Indian consumers and with the increase in mobile internet penetration, this will continue to grow. Disney has a vast library of great stories, wonderful characters and magical experiences. Character awareness and affinity is the fundamental basis of licensing business. Building an emotional connection with fans through stories and characters plays an important in making consumers a part of the Disney family. Our television content and films are great enablers in providing depth and context to our fan’s favourite characters and a good way to engage with them. Disney pioneered the licensing model in the country in 2005. We are the #1 character licensor in the world and in India. It will be difficult to give the market share, but we work with prominent domestic and international players — Bata, Crocs, Vans, which gives us a good presence across the country. There are multiple aspects we need to keep in mind while designing footwear for children. Comfort is the number one feature that we focus on followed by character art. 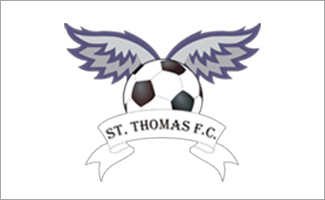 Our product design team works closely with the licensees to bring alive our timeless stories, keeping in mind the age and gender of our fans. We have character style-guide that changes every season depending on the latest market trends, which acts as a ready reckoner to our licensees, making it easier to design a product using appropriate colour palette. 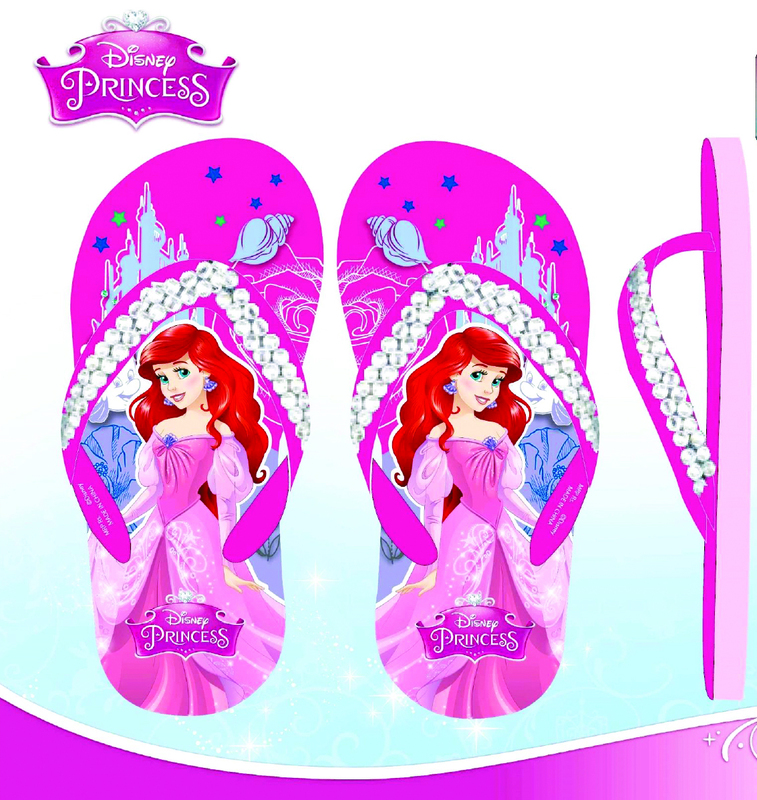 In India, flip-flops and sandals are the top selling products amongst kids, as it’s a product they use every day. The segment is poised to grow significantly in the coming years.